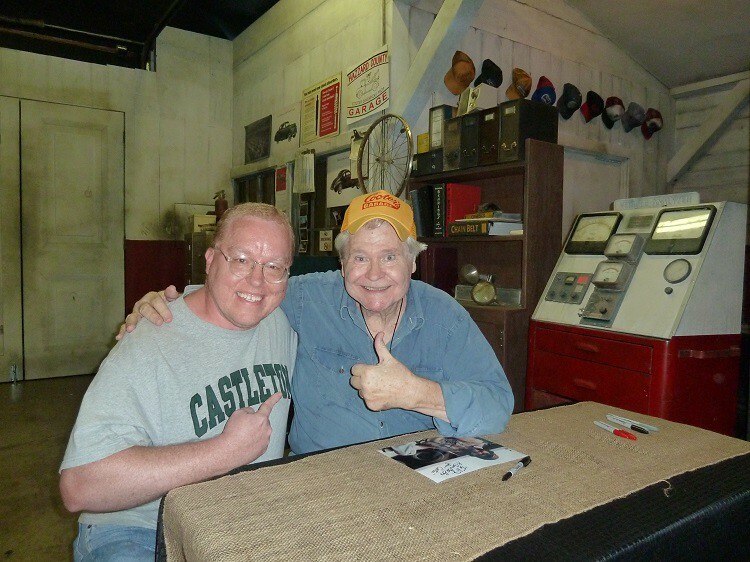 I finally made the trip down to Luray, Virginia to Cooter's Place, in order to get one of the last living Dukes of Hazzard people I've never met - Ben "Cooter" Jones. 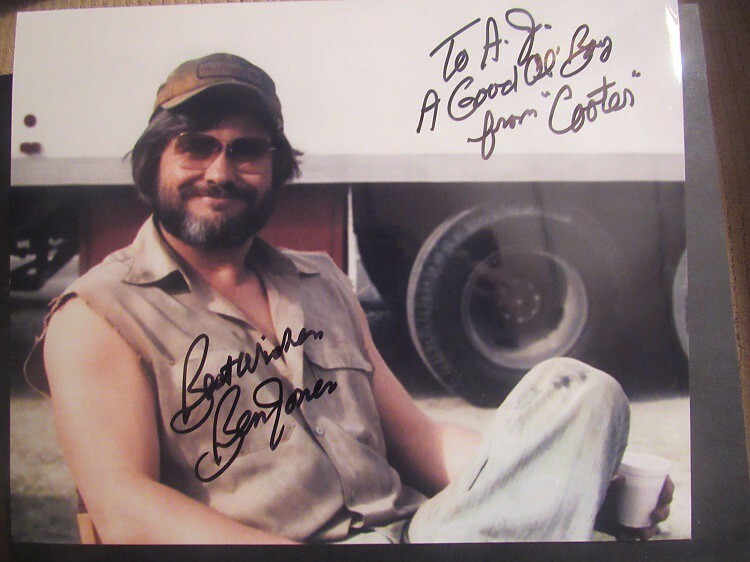 Ben is 76 years old, and rarely (if ever) does convention appearances anymore, but he does perform with his band almost every weekend at Cooter's Place, and does meet and greets afterwards. So although it was a over a 4 hour drive, it was pretty much a guarantee to get him. They also had a museum of Dukes of Hazzard memoribilia, even including the Boss Hogg Cadillac, the Daisy Jeep, and a General Lee actually used in filming of the show. Got there in time for his concert, and as the show was ending, I walked over to the room next door to get in line for his signing. Ben Jones couldn't have been nicer with signing and taking photos, even telling stories about the episodes in the 8x10s people were getting signed. And admission to the museum, the concert, the autograph, and photo were all free, so the only money I spent was to buy the 8x10 to get signed. All in all, a great trip. Wow, great trip AJ. Love to meet Cooter myself, but can't see myself going quite that far. Doesn't get any easier than this (although the 4 hour drive stinks lol). Good stuff.